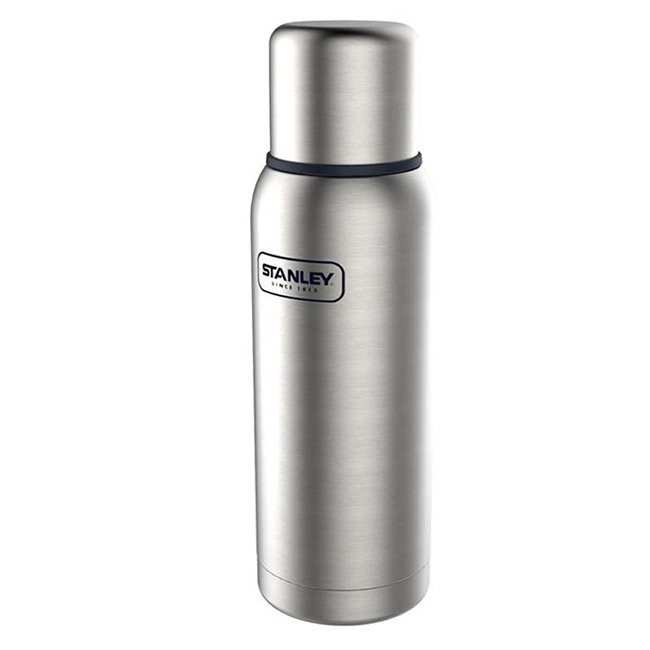 Keep your coffee, tea or hot chocolate hot around the clock with the Stanley Stainless Steel Adventure Vacuum Flask. It’s insulation also keeps cold drinks, cold for refreshment on hot summer days. The 1 Litre size with its minimalist design is great for drinks all day or sharing with a friend. It keeps liquids hot or cold up to 24 hours. It also sports a two-piece lid composed of a leak-proof BPA-free stopper and a 236ml outer lid which doubles as a cup for drinking. The Stanley tough stainless steel construction ensures it will stand up to rough work, play and travel environments. Made from 18/8 stainless steel with no interior linings, it won’t rust. All parts BPA-free, too. Another quality durable product from Stanley.